The General Assembly Office (GAO) serves the church by providing leadership and support in the area of governance. The GAO facilitates the General Assembly, produces the Acts & Proceedings of each Assembly, amends the Book of Forms, assists committees of the General Assembly, and responds to inquiries from synods, presbyteries, sessions and individuals throughout the year. The GAO also produces resources designed to assist the courts as they carry out the various ministries for which they are responsible. The 145th General Assembly will take place at Wilfrid Laurier University, Waterloo, Ontario, on Sunday, June 2 – Thursday, June 6, 2019. Resources, such as print copies of the Acts and Proceedings, Book of Forms and the compilation CD, may be ordered by using the online order form (under “Church Life”), sending an email or calling 1-800-619-7301 ext. 331. 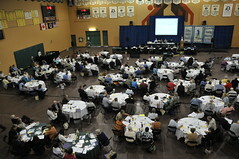 The Acts and Proceedings are the official minutes and reports of General Assembly. The Book of Forms contains the legislation that governs the PCC. There are four “courts” in our Presbyterian system. Most of the important decisions that affect the church are made as women and men prayerfully meet to discern the mind of Christ. The Archives documents the life and work of The Presbyterian Church in Canada by acquiring and preserving records of enduring evidential and historical value to the church. The Committee to Advise with the Moderator is accountable to the General Assembly and provides advice and support for the Moderator of a particular General Assembly. It normally meets three times annually and supports, advises and prays for the moderator during her or his moderatorial year. The committee meets with the moderator to assist in establishing the itinerary of events, listen to reports from the moderator of his or her travels and activities and to prepare a report to the General Assembly on the travels and involvement of the moderator. The committee is also responsible for counting ballots for the moderator-designate and placing that nomination before the next General Assembly. The members and the convener of this committee are named by the moderator and are usually about 6-10 people in number. The Principal Clerk serves as a consultant and the Senior Administrator of the General Assembly Office serves as secretary. This committee considers and reports on all matters of faith and order which the General Assembly may from time-to-time refer to it and makes recommendations to the General Assembly for the furtherance of the church’s continuing ministry of determining and declaring the church’s confessional position. This committee works diligently to engender an interest in and awareness of our Church’s long and glorious history. It encourages congregations to properly care for their records and is available to assist congregations and others on anything to do with the history of our church. This committee facilitates national and international relationships of the denomination. It provides information on and coordination for ecumenical matters, maintains and strengthens relationships with ecumenical councils, committees and consultations, and articulates the church’s ecumenical vision. This committee discusses and reflects theologically on significant international questions with a particular focus on justice issues. As directed by the General Assembly, it communicates with the Canadian government on matters of international concern to The Presbyterian Church in Canada, and helps Presbyterians across Canada be informed and aware of important international matters for study, prayer and action. The Committee to Nominates Standing Committees presents a slate of names for membership on each General Assembly standing committee. Members of the church serve at the national level on committees and boards where their gifts and skills are most needed and can best be used. The committee coordinates the call for and reception of nominations from sessions, presbyteries, synods and other standing committees. It also seeks to find people who are willing to serve these church on the various committees. For more information about the General Assembly Office or for past copies of Remits and Referrals, email Terrie-Lee Hamilton or phone 1-800-619-7301 ext. 225.